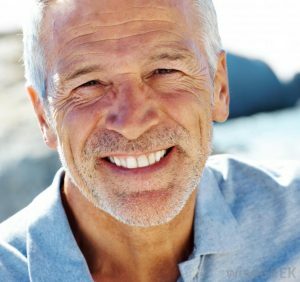 What are the Differences Between Dental Crowns and Dental Implants? A dental crown is a cap for a tooth or dental implant. So, for starters, one is used on the other, which is an important distinction. A crown is used when a cavity is so large that it threatens the health of a tooth. When a crown is put in, it is bonded to the tooth with dental cement. Crowns come in various types and materials. Generally, they are fully made of gold or are porcelain fused to metal. They are also often resin or complete ceramic. These different materials affect the quality of the crown, and all of them have their own advantages and disadvantages. Porcelain and ceramic teeth often naturally match tooth colors, so they’re typically used for front teeth. Porcelain-fused-to-metal crowns are good for front and back teeth, while metal crowns are usually just for molars because they don’t match tooth colors and are less visible in the back. Resin crowns, while they are less expensive, are prone to fractures. Stainless steel and acrylic crowns are typically temporary. Getting a crown is necessary when part of a tooth is missing, or if part of a tooth needs to be removed because on injury or decay. A dental implant is used when support is needed for crowns, bridges or dentures. They’re typically made of titanium and look like a tooth or group of teeth when missing teeth need to be replaced. They are typically attached to a tooth root (called a “root-form implant”) and are placed within the bone. The jawbone accepts and integrates the titanium post into itself, which fuses to the bone. Another usage of dental implants is preventing orthodontic tooth movement. The implant is used to replace the root and create a support system for a new tooth. Once the implant is in place, a dentist will take a mold of it. Then, a dental implant crown completes the restoration of the dental implant. The dental crown improves the look, strength, shape, and size of a tooth. It encases the surface and is cemented over the structure of the tooth. Ideally, it looks exactly like a natural tooth. Think you might need a crown or implant? Make an appointment or ask about implants and crowns contact our team at our Boynton Beach, FL office (561) 374-8922 .